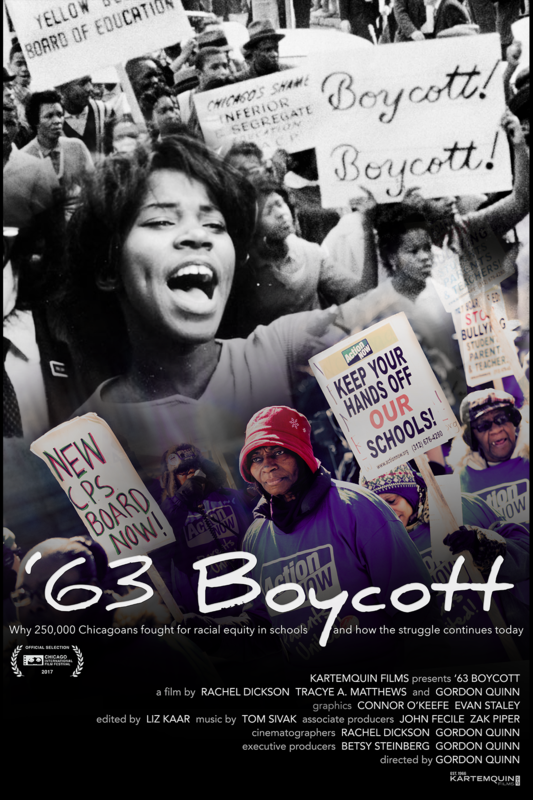 This past weekend '63 Boycott, a film by Rachel Dickson, Tracye A. Matthews and Gordon Quinn, won the Grand Jury Prize for Best Documentary Short at the Nashville Film Festival. The win makes the film eligible for submission to the 2019 Academy Awards. Previously, the film won the Audience Award for Best Documentary Short at the 2018 Pan African Film + Arts Festival (the film's LA premiere), and made its New York premiere at the Museum of Modern Art's 2018 Documentary Fortnight. The film next screens at the Adrian International Film Festival on Saturday, May 19th, and the African Diaspora Cinema Festival in Florence, Italy, running July 5-8.